The exhibition Mythologies Louisianaises brings together School of Art faculty members and alumni, to celebrate and explore Louisiana culture. 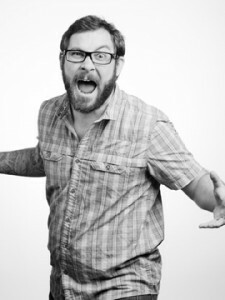 The project was created and curated by Jonathan “feral opossum” Mayers, alumnus and instructor of the LSU School of Art. 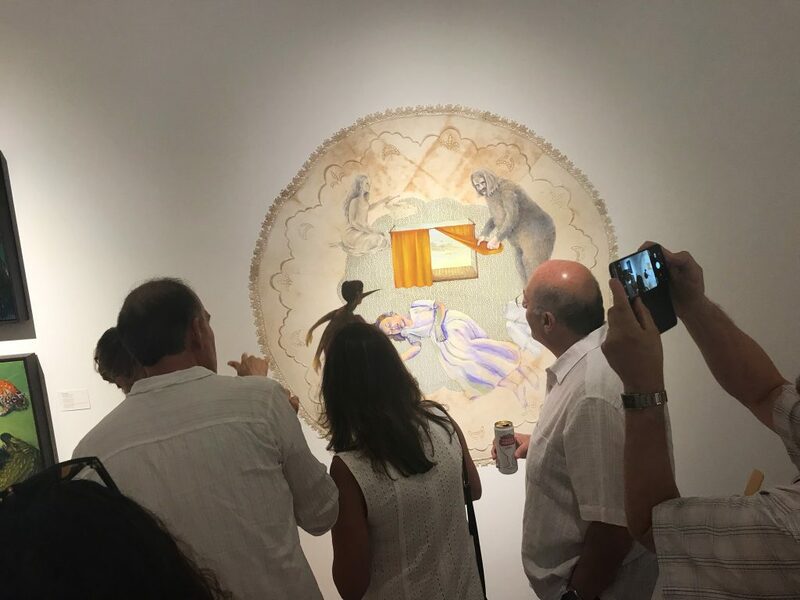 The exhibition, on display at the Arthur Roger Gallery in New Orleans through September 22, 2018, is a group show featuring an array of Louisiana artists. 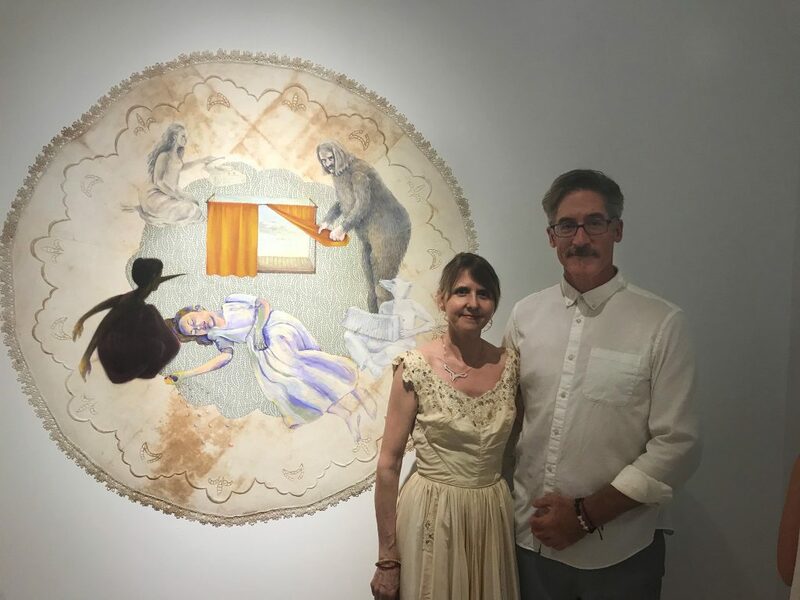 “I am super excited to be in this group exhibit curated by Jonathan Mayers, now showing at Arthur Roger Gallery,” art professor Kelli Scott Kelley said. Other School of Art alumi involved included: Elise Toups, Charles Barbier, Nyssa Juneau, and Randi Willett. 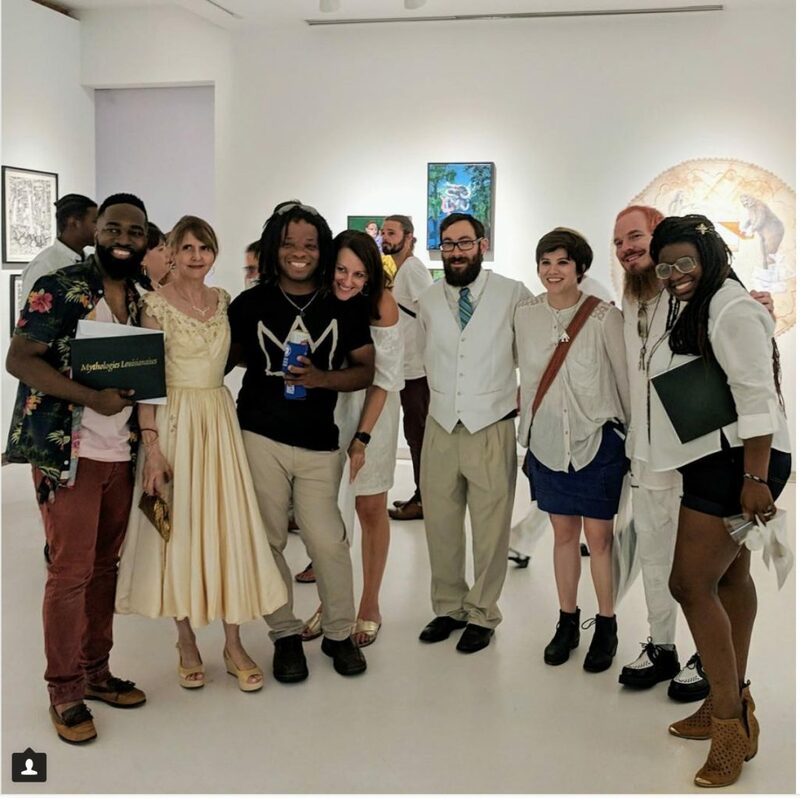 “The mission of Mythologies Louisianaises is to promote, in an unconventional way, French and Creole languages and cultures of Louisiana,” Mayers said in the curator’s statement. Over the past three years, Mayers has chosen artists and writers who have been distanced from these cultures as a result of Americanization, physical location, or birth as an outsider. Yet these individuals retain a compelling connection to their heritage either through ancestry, geographical proximity, or inclusion as an outsider. “Floating Cottage” (Kelli Scott Kelley) is an acrylic painting, painted on an antique tablecloth and collaged with another vintage patterned linen. It is 55” diameter. “Since my artwork is narrative in nature, and following my book and exhibition, Accalia and the Swamp Monster, this was a prefect project for me,” Kelley shared. For her own project Accalia and the Swamp Monster, she wrote a story as a catalyst for a body of artworks. Art history professor Darius Spieth wrote an essay for the catalog, which accompanies the exhibition. His piece “How Fables Matter in Today’s Louisiana,” explores the roles of fables and myths in the poetic history of French-speaking lands. 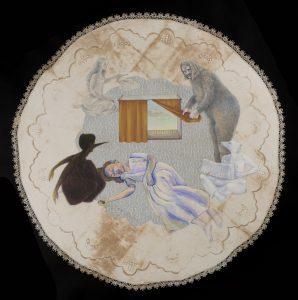 He traces the traditions of mythologies to contemporary art in Louisiana today.